If you drive without car insurance and suffer an accident, what happens next will depend on where you live. Most states have different coverage requirements and exercise different insurance laws. In North Carolina, for example, all drivers are required to have liability and uninsured motorist coverage. Liability coverage must equal a minimum of $30,000 for bodily injury per person; $60,000 for bodily injury per accident, and $25,000 for total property damage. These coverage minimums and requirements differ state by state. Similarly, the fees and penalties for driving uninsured vary as well. Unfortunately, as many as one in eight drivers don’t carry the minimum coverage requirements. In the event you’re in a car accident and without insurance, don’t lie or produce a fake insurance card. Deceit will only make the situation worse. If you don’t have car insurance, be prepared to explain this to the other driver and the police when and if they arrive. Be aware: some states (including North Carolina) classify driving without insurance as a misdemeanor, which can result in fines and/or jail time. If it’s safe, the next thing you’ll want to do is document injuries and property damage to you and your vehicle, as well as any visible damage to the other driver’s car. While there are penalties for driving without insurance, fault is still assigned depending on who is actually responsible for the accident. Even without insurance, a driver should still try and document the scene to ensure the other driver is honest and accurate about what took place. In addition to documenting the scene, look for any witnesses that could testify what happened. 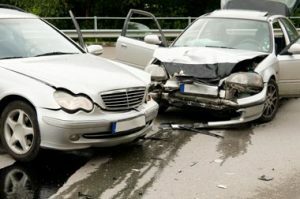 In no-fault states like Michigan, Kansas, and Florida, compensation for damage is awarded by a driver’s own insurance, or insurer, regardless of who caused the crash. This makes it easier for drivers to collect compensation without an attorney or a trial. However, no-fault states prohibit injured parties from filing a lawsuit against an at-fault driver. There are exceptions to this rule, but only in rare cases. This is not the case in tort states (at-fault states) like California, North Carolina, and Georgia, which allow crash victims to pursue compensation from an at-fault driver even if he or she has full coverage. In tort states, even with insurance, uninsured drivers can still be held responsible for damages that exceed liability coverage. In this case, a crash victim can maximize what coverage is available and seek further compensation by filing a personal injury lawsuit. 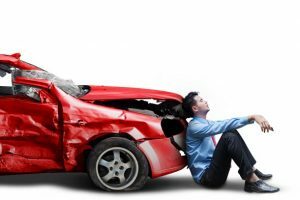 It is especially helpful in tort states to contact an experienced injury attorney if you’ve been in an accident and did not have car insurance at the time of the accident. Can I Be Sued for Driving Without Insurance? Suing an uninsured driver is a legal option in tort states. The primary reason for having insurance is to protect personal assets from being seized as a result of injury or damage caused to someone else or their property. If you don’t carry car insurance, but have an expensive car or home, these personal assets could be used to pay for a crash victim’s ongoing medical expenses, lost wages, and other loses like pain and suffering. In rare cases, a lapse in coverage for an otherwise insured driver could present a case where an uninsured motorist would have assets that could pay for damages. Accident victims should take a step back and evaluate the circumstances carefully. A personal injury lawsuit can be just as draining (emotionally and financially) for the victim as it is for an uninsured driver. In some cases, it may not be worth the time or resources. Always contact an experienced car accident attorney to review the facts of your case. What Is the Penalty for Driving Without Insurance in North Carolina? Driving without insurance is a choice, but sometimes it’s the result of a lapse in coverage. A lapse in coverage can arise from delinquent payments or incorrectly changing coverage plans. If your insurance company is unable to renew coverage (for whatever reason) they’re required to notify the DMV. Uninsured drivers will have to contact the DMV directly to explain the mistake or show proof of new insurance. Penalties and fees must be paid within ten days of notice or the DMV will revoke your license plates. Penalties and fees increase with each subsequent offense up to $150. Any driver involved in a car accident who does not have car insurance at the time of the crash will have his or her license suspended for up to 1 year. Drivers caught without insurance in North Carolina also receive three points on his or her driving record, which will increase the cost of insurance premiums in the future. Drivers without insurance put themselves and others at unnecessary risk. Additionally, the long-term cost of driving uninsured can impact a person’s financial future. If you’ve been in an accident and one of the drivers was uninsured, the experienced attorneys at DeMayo Law Offices, L.L.P. want to hear from you. Stay apprised of North Carolina’s insurance laws and best practices! Be sure to like us on Facebook or follow us on Twitter for updates and information you can use to protect you and your family.